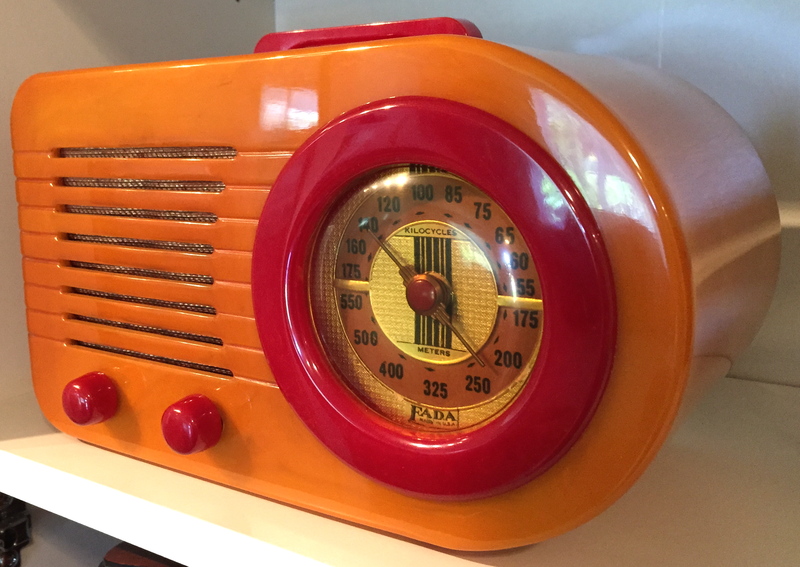 In the world of Catalin radios, there are many that are more valuable than the Fada Bullet, but there are no designs that are more iconic. Recently picked up this 1940 Fada Bullet in butterscotch & red Catalin. I already had this color combination, but wanted the pre-war model 115, to go with our maroon 1945 post-war model 1000. 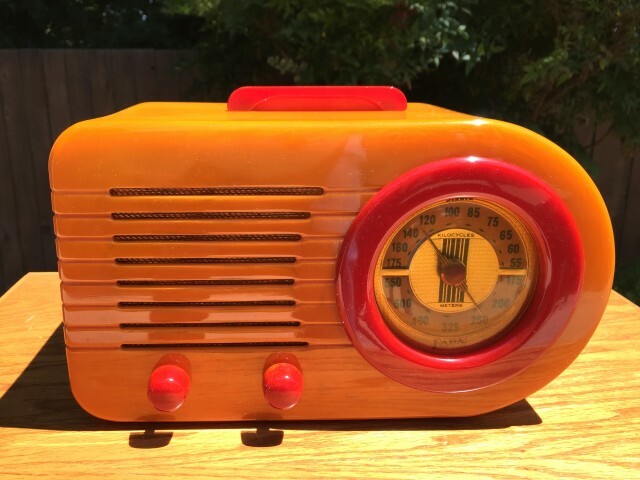 Besides the older radio having a bit of a darker patina, you can see the dials, knobs, and handles have different designs. 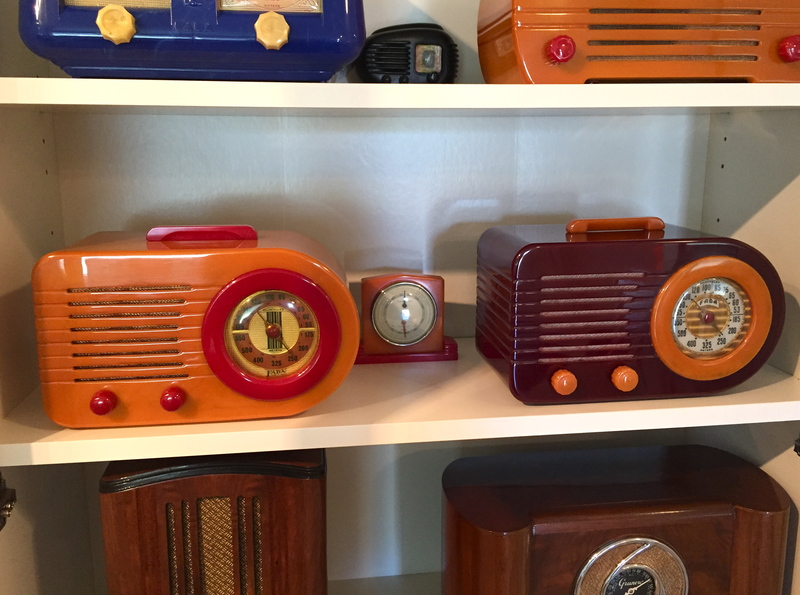 It was many years ago when good friend Al Koontz found the post-war maroon Fada…our first Catalin radio. Anyone who wants just one example of a Catalin radio in their collection, couldn’t go wrong with a Fada Bullet. awesome article on the bullet’s!!! maroon and yellow was my first bullet.. awesome website with wonderful story’s! !enjoy your collection very much..